Here some artistical cirles... I wonder how many circles you will notice once you focus on them in your own home. I can see atleast 30 circles from the chair I sit on right now. 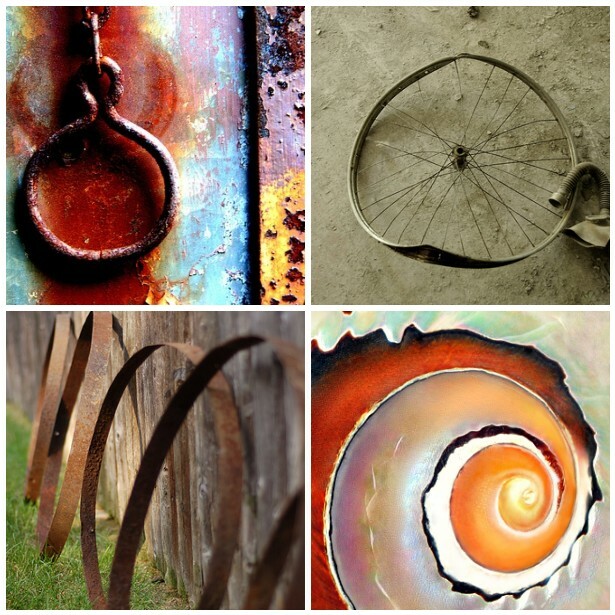 Explore more mosaics at ArtMind's blog! Corcles are ever so fascinating, these are very beautiful! How cool! love the colors and pics! Great mosaic; I especially love the bent wheel.